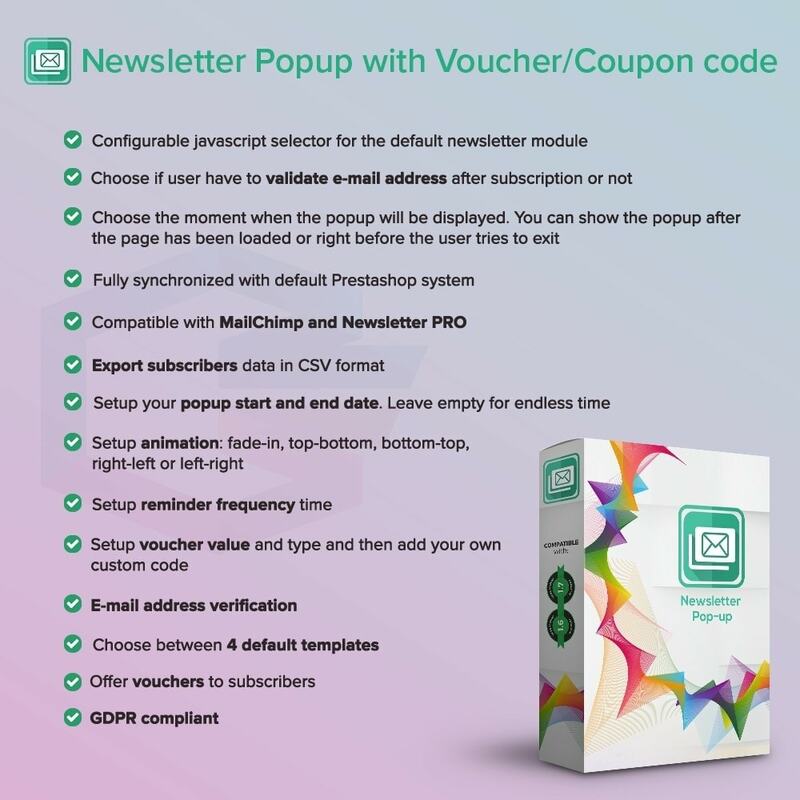 The first newsletter popup module which is bringing all the necessary features you need to develop a nice e-mail marketing campaign. Most complex popup manager with vouchers and coupons so you don't need to buy more than 1 module. The best way to offer your visitors a reason to sign up into your e-mail list. Offer them now a voucher code, with just one click and start counting your subscribers! You can configure all the popup settings: how many times to appear, what kind of info you want to take, animations, etc. Our module will convert visitors into subscribers in just a few clicks. All the e-mails are automatically exported to MailChimp, Newsletter PRO and Newsletter Block. Buy our module and you will never regret it, is the most complex Popup manager with or without vouchers depends how you want to use it. Increase sales and customer engagement with the help of web push notifications. Send unlimited push notifications on all major browsers and devices. No monthly fees! Just subscribe to the newsletter and get some awesome discounts! Changed how coupons are made.